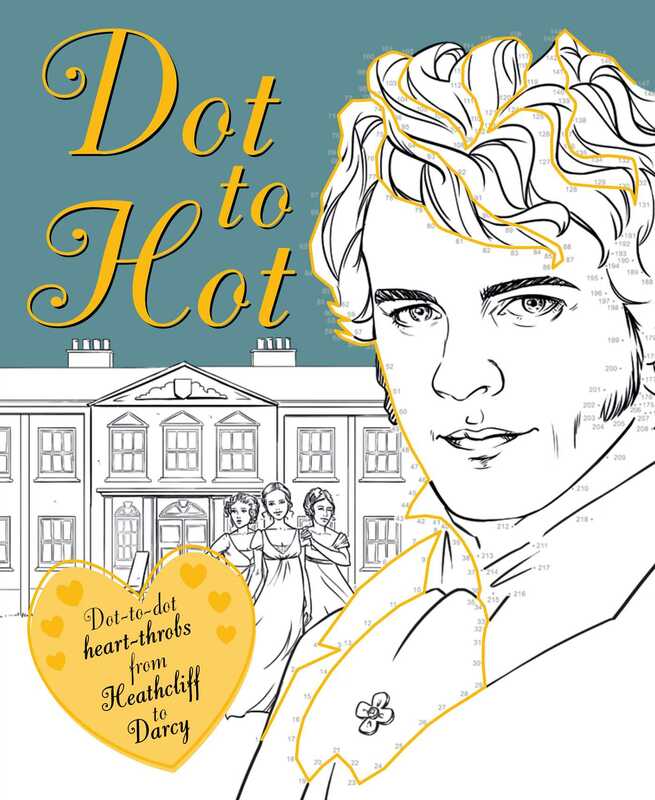 A fun and quirky connect the dot book perfect for those who love their coloring served with a Mr. Darcy-sized dash of romantic fiction! It's a truth universally acknowledged that a romantic person in possession of a good set of colored pencils must be in want of a Dot to Hot coloring book! This book is brimming with over 40 connect the dots pictures of literary lovers and heart-throbs. From heroes and romantics to rebels and villains, all are waiting to be lovingly completed by you as you connect the dots to create Mr. Darcy and Mr. Wickham from Pride and Prejudice, Mr. Rochester from Jane Eyre, Marius from Les Misérables, Romeo from Romeo and Juliet, Willoughby from Sense and Sensibility, and many more. After you connect the dots, you can color in all these romantic heroes, rebels, and villains!